To learn more about AMSN, membership, CMSRN medical-surgical certification, CCCTM care coordination and transition management certification order this information packet. 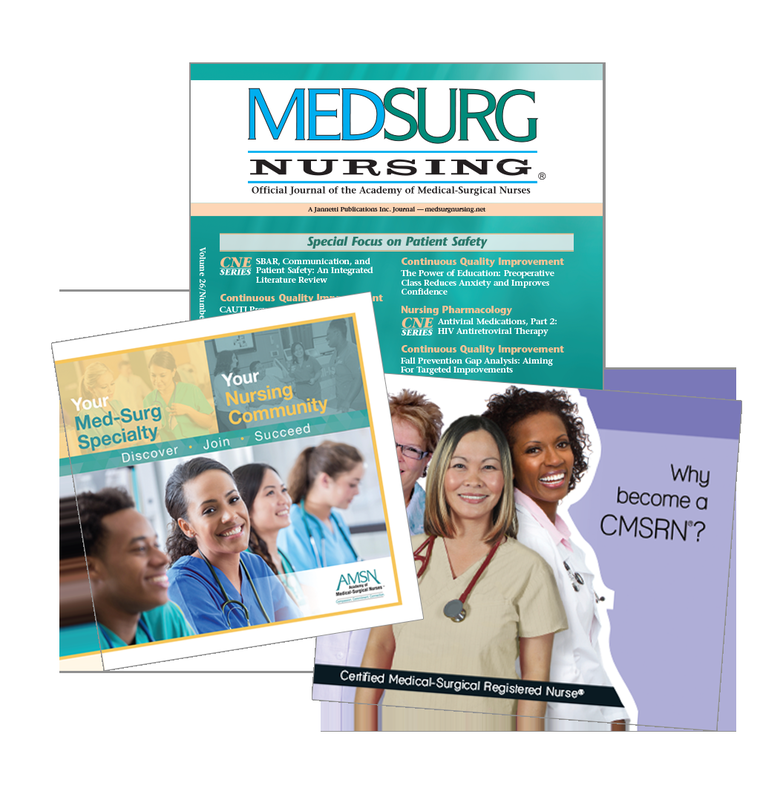 Also includes a sample MEDSURG Nursing Journal. (LIMIT 5 PER ORDER. For bulk quantities, please email amsn@ajj.com or call 866-877-2676).